Welcome to Nordstrom, Can I Interest You in This Fancy Rock? The American home is replete with all manner of overpriced baubles and trinkets. 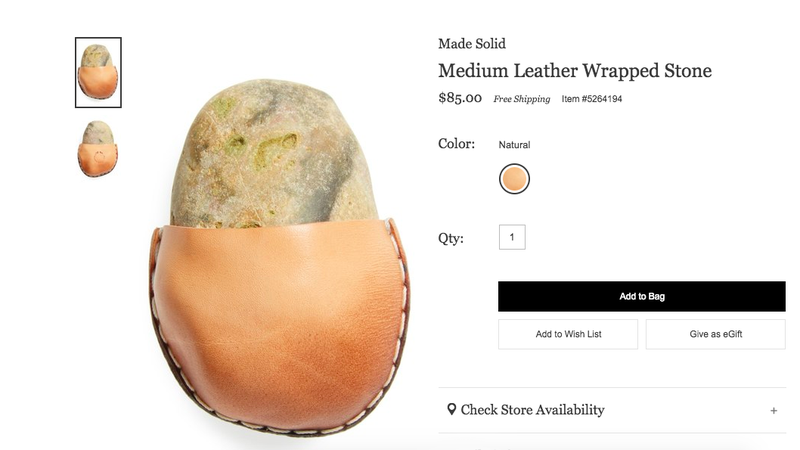 But is your idlic suburban ranch house truly complete with an $85 rock in a bespoke leather pouch? Nordstrom thinks not. $85 is a lot to pay for a total mystery. Thankfully, a smaller version exists for the reduced price of $65. Rocks come in sizes! Tell me about it PatIsInnocent. Maybe someday I too will be able to afford nice things.